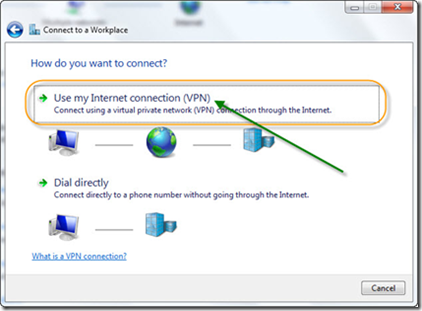 As a reminder, VPN is the solution to connect one or more private network by using the internet connection. By using VPN, the data will be more secured because of encryption process. VPN will also become the solution from the price of renting a leased line. By using VPN, we can use the public network (internet) as a network connection with our private network, which usually the price of public network (internet) is much cheaper rather than private network (leased lines). 01. 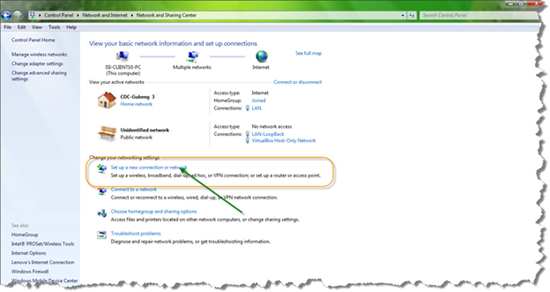 Open Control Panel from menu Start – Control Panel – Nework and Internet – Network and Sharing Center and choose Setup e new connection or network. 02. 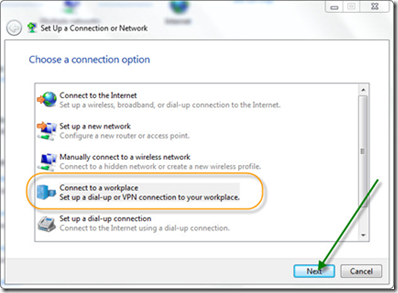 On page Choose a connection option then choose Connect to a workspace where we want to do the VPN connection, then click Next. 03. On page Do you want to use a connection that you already have? Choose No, create a new connection then click Next, if you want to user other internet connection, you can pick it below the choice. 04. On page How do you want to connect? Choose Use my Internet connection (VPN). 05. 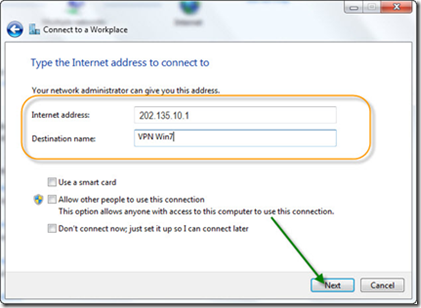 On page Type The Internet Address to Connect to insert the Public IP from VPN server, you can also add the name of the VPN Server so it will be easier to remember. Then click Next. 06. 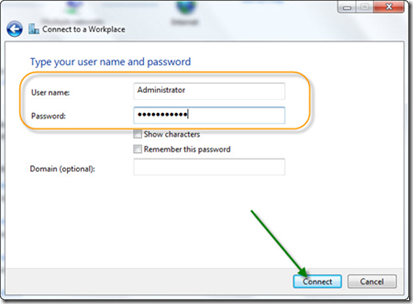 On page Type your username and password, insert Username and Password from the account which already add in the VPN server setting then click Connect. 07. 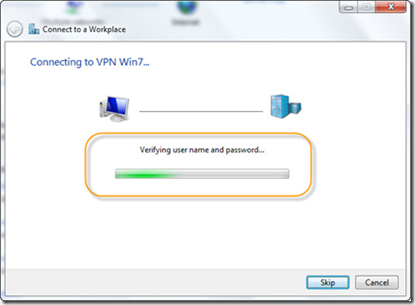 Next, VPN Client will connect to VPN Server and VPN server will verify the username and password entered, and waits until it processed. 08. 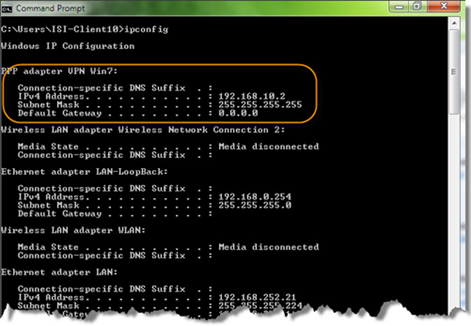 When it already success on network information it will looks like this. Easy isn’t it? 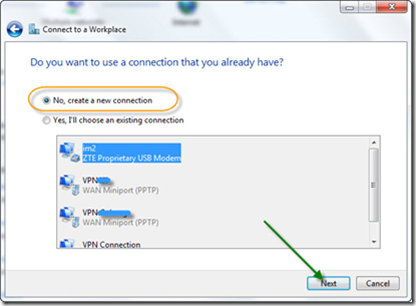 You don’t need to install add-ons application to build VPN Server on Windows 7 or to connect to VPN Server, you can use available feature to do that. 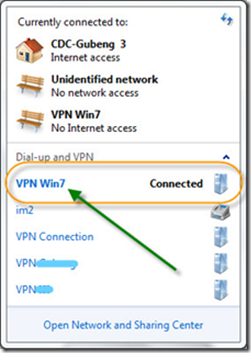 To build VPN Server with Windows 7 you only need internet connection and one Public IP as a gateway.